Are you familiar with Chicago’s J-Town that was never formally designated J-Town? Before becoming one of the hottest real estate markets and young professional entertainment destinations in the city, the Wrigley Field neighborhood housed a diverse working class community with an unignorable Japanese American presence. 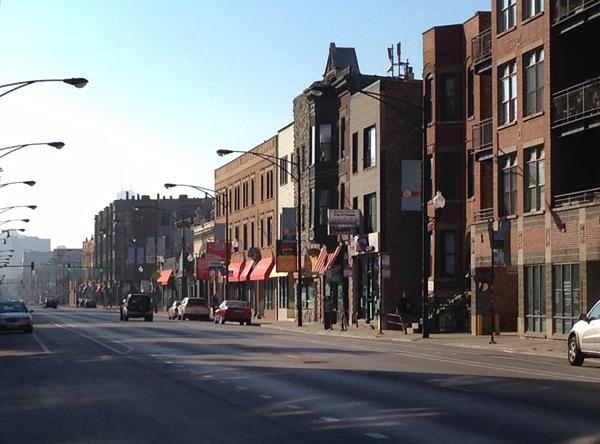 Looking south along the 3200 block of North Clark Street, from Aldine Avenue, September 2014. Discover Nikkei investigates this lost community, which was once home to our host Ravenswood Fellowship UMC. Check it out!